VERONA-William "Will" Joseph Kellerman, age 21, of Verona, passed away on Saturday, Nov. 4, 2017. He was born on Oct. 26, 1996, in Madison, the son of Brian and Kristin (Young) Kellerman. Will graduated from Verona Area High School in 2015. He attended Loras College in Iowa for 1 ½ years and was currently in the middle of his first semester at Milwaukee Area Technical College. 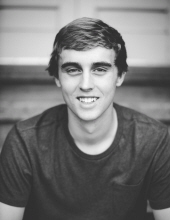 Will loved playing basketball, and spent endless hours in the gym practicing. He played his last game just two hours before he passed. Will's best times were with his family and friends, especially around the bonfire talking about the Badgers, Packers and Kobe Bryant. Will took the time to talk to, laugh with and cheer on the family that he loved. He had a twinkle in his eye and a smirk on his face whenever his brother, Steven, walked into the room. Will is survived by his parents, Brian and Kristin; younger brother, Steven Kellerman; maternal grandfather, Bill (Halyna) Young; paternal grandparents, Joe and Joan Kellerman; maternal aunt, Karin (Mike) Victorson; paternal aunts, Shari Cox and Tracy (Jim) Wilson; paternal uncle, Rod (Kerri) Kellerman; his beloved 12 cousins; and his girlfriend, Reagan Friend. He was preceded in death by his maternal grandmother, Joyce Young. Funeral Services will be held at ST. JAMES EVANGELICAL LUTHERAN CHURCH, 427 South Main St, Verona, at 11 a.m. on Monday, Nov. 13, 2017, with the Rev. Peter Narum presiding. Burial will follow. Visitation will be held at VERONA AREA HIGH SCHOOL GYMNASIUM (where Will would want it), 300 Richard St., Verona, from 3 p.m. until 7 p.m. on Sunday, Nov. 12, 2017, and at the church from 9:30 a.m. until the time of the service on Monday. In lieu of flowers, memorials may be made to the "Opportunity 34 Scholarship Fund" established in Will's name, "Because every kid deserves an opportunity". Please click on the link below to visit the website for the "Opportunity 34 Scholarship Fund" for the ability to donate online and/or how to make checks payable. Online condolences may be made at gundersonfh.com.